With the rise in technology there are a lot of Indian startups that have grown in India and are slowly expanding their presence Internationally. Prime Minister Narendra Modi introduced startup scheme in India with an aim of promoting development of our nation. These startups not only provide their services in India, but also representing India globally. Founded by Deepinder Goyal and Pankaj Chaddah in 2008 in New Delhi, Zomato is the biggest online restaurant and nightlife guide that provides information on more than 227,800 restaurants in 41 cities across 12 countries. It covers restaurant information in Brazil, Turkey, Portugal, Indonesia, India, Sri Lanka, New Zealand, the Philippines, South Africa, Qatar, the United Arab Emirates and the United Kingdom. Zomato’s core content features include menus, photos and geocoded coordinates for restaurants, allowing users to find, rate and review restaurants, as well as create their own network of foodies within its website. FusionCharts is a provider of data visualization products and has its offices setup in Bangalore and Kolkata. It has around 450,000 users in 118 countries. Founded in 2003 by Pallav Nadhani, FusionCharts provides its services to big global companies like Hewlett-Packard, IBM, Google, Facebook, Microsoft, LinkedIn, Cisco, EMC, Nokia, Apple, The Weather Channel, NASA and Federal Government of the United States. Some of its products are FusionCharts Suite, which creates interactive and visually striking charts; oomfo, that allows the user to create charts within Microsoft PowerPoint; Collabion Charts to create dashboards without programming; and finally Book, which acts like a guidebook for users as it teaches them the basics of FusionCharts. Headquartered in Kolkata, HyperXchange was established in February, 2016 by Dipanjan Purkayastha (CEO, HyperXchange). HyperXchange is India’s fastest growing O2O marketplace for premium refurb gadgets. HyperXchange is poised to become the world’s largest online 2 offline re-commerce marketplace for premium electronics gadgets. 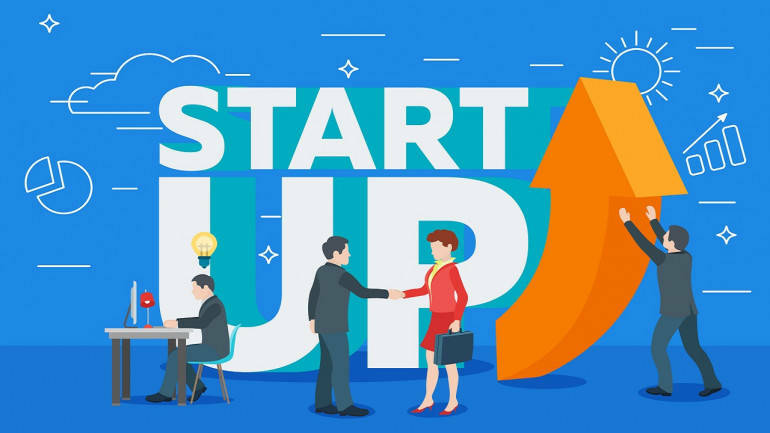 It’s amongst the only two startups from India which is a featured startup at Collision 2018, the biggest startup event in the world. Also it’s one of the very few startups who have been selected to pitch onstage at the event. Hyperxchange leverages the 3000+ strong national retail network of it’s strategic investor to quickly scale on the ground in each region – enabling easy availability and efficient recycling of hyperlocal inventory. Founded by Girish Mathrubootham, the Chennai-based startup aims as providing a cloud-based customer support software that lets individuals support customers through traditional channels like phone, email, social channels like Facebook and Twitter. “When we started Freshdesk, we decided to incorporate it in the U.S. because that seemed to be the best option for a SaaS company that wanted to handle recurring payments from international customers,” said, Girish Mathrubootham. Today the company has around 200 passionate employees globally and Freshdesk helps over 20,000 businesses and organizations around the world to offer better, more personal support to their existing customers. Cipher graph was founded by Jitender Sharan in 2011. The company was accelerated by Microsoft startup accelerator. Cipher Graph networks offers businesses security for data applications hosted on public and private clouds. Their flagship offering is the cipher graph cloud access gateway. Cipher Graph Networks promotes its use to create a secure perimeter for cloud servers. It aims to be a replacement for VPN hardware in the cloud targeting businesses that are migrating to the cloud from their existing datacenter. The company won many awards like Microsoft Bizspark Startup Challenge, NASSCOM Emerge 50 2012 among others. Cipher Graph was added to the Amazon Web Services Partner Network in 2012. Cipher Graph was funded by Chamath Palihapitiya in 2012 through his investment fund Social+Capital Partnership, who joined their board.